K. HIRAM MCCOY was born Abt. 1796 in Georgia, He married NANCY KEZIAH CASSMAN CARTER about 1827 in Alabama. Daughter of JONATHAN CARTER and ELIZABETH JOSEPHINE GATES. She was born April 13, 1812 in Hickman, Tennessee. Hiram died 1862 in Poinsett County, Arkansas. Hiram McCoy and his family were listed in the 1840 census in Fayette County, Alabama, In 1850 census in Bolivar Township, Poinsett County, Arkansas. In 1860 census in Ruddle Township, Independence County, Arkansas. Post office: Batesville He is listed as a farmer. The Compact of 1802 was a compact made by U.S. President Thomas Jefferson in 1802 to the state of Georgia. In it, the United States paid Georgia 1.25 million U.S. Dollars for its central and western lands (the Yazoo lands, now Alabama and Mississippi respectively), and promised that the U.S. Government would extinguish American Indian land titles in Georgia. This explains how Hiram McCoy was born in Georgia, but, all other information directs you to Alabama. i. D. FRANKLIN MCCOY, b. November 19, 1830, Alabama; d. May 04, 1887.
ii. JOHN MCCOY, b. Abt. 1830.
iii. MARY J. MCCOY, b. Abt. 1835, Alabama. iv. ANDREW PATRICK MCCOY, b. 1839, Fayette County, Alabama. v. WILLIAM MCCOY, b. Abt. 1840, Alabama. Married MARTHA BELL TREAT, daughter of STEPHEN TREAT and SARAH REECE. She was born about 1842 in Madison Co, AR. She died before 1882.
vi. HENRY MCCOY, b. Abt. 1842.
vii. BENJAMIN F. MCCOY, b. Abt. 1847.
viii. THOMAS M. MCCOY, b. Abt. 1849, Arkansas. ix. EPHRAIM MCCOY, b. Abt. 1851; d. Bef. 1884. Ephraim was 18 at the 1870 census and was living with D. Franklin McCoy and his family at that time in Village Township, Jackson County, Arkansas. On the census it also stated that Mary Ann (36) and Ephraim (18) could not read or write. D. Franklin's real estate value was $160 and value of his personal property was $300. D. FRANKLIN MCCOY (HIRAM) was born November 19, 1830 in Alabama, and died May 04, 1887. He married (1) MARY ANN MITCHELL February 19, 1854, daughter of WILLIS MITCHELL and RACHEL. She was born August 28, 1834 in Arkansas, and died February 12, 1874 in Arkansas. Mary Ann Mitchell's tombstone reads "And their three children". Burial: Sullins & Hankins Cemetery, Grubbs, AR He married (2) FRANCIS J. NICKS September 12, 1876 in Jackson County, Arkansas. Divorced Francis J. Nicks - March 10, 1881. He married (3) NANCY C. DODD WILLIAMS September 14, 1881. He married (4) M. A. RIE April 07, 1887. D. Franklin is listed on the 1850 census in Bolivar, Poinsett, Arkansas. He served in the Civil War with the 30th Arkansas Infantry, Company K. Enlisted August 1, 1862 at Jacksonport Court House. In the 1860 Arkansas census for Jackson county, Village Township, D. Franklin is listed as living with his wife, Mary and their three children - Willis, Nancy and Allen. His occupation is listed as a farmer. Estimated real estate valued at $100 and personal property estimated value at $100. In the 1870 Arkansas census for Jackson county, Village Township, D. Franklin is listed as living with his wife, Mary and children - Willis, Nancy, Caroline, Benjamin, (Allen died in 1862), his brother Ephraim and there was also an eight year old male named Lindsey Wicks living with them. Franklin's occupation was listed as works on farm. He real estate was listed as being worth an estimated $160 and personal property an estimated $300. In 1880 Arkansas census, his daughter Nancy and her husband and son were living with him. i. WILLIS MCCOY, b. January 09, 1855, Arkansas; d. March 05, 1896, Arkansas. ii. NANCY J. MCCOY, b. January 20, 1857, Arkansas; d. April 17, 1885.
iii. J. ALLEN MCCOY, b. December 29, 1859; d. November 08, 1862.
iv. RACHEL CARALINE MCCOY, b. September 04, 1860.
v. BENJAMIN FRANKLIN MCCOY, b. April 19, 1864; d. February 28, 1897.
vi. THOMAS ATLAS MCCOY, b. March 22, 1866; d. January 13, 1921.
vii. JASPER NEWTON MCCOY, b. December 12, 1869, Arkansas; d. June 18, 1933, Arkansas. viii. M. A. MCCOY, b. December 12, 1869; d. December 12, 1869.
ix. M. A. MCCOY, b. September 13, 1871; d. September 13, 1871.
x. MARY ANN MCCOY, b. February 12, 1874; d. February 12, 1874.
xi. GEORGE W. MCCOY, b. February 12, 1874; d. June 06, 1926. Burial: Ballews Chapel Cemetery, Grubbs, Arkansas. Tombstone Inscription: "He died as he lived, a christian"
ANDREW PATRICK MCCOY (K. HIRAM) was born 1839 in Fayette Co., AL, and died in Y. He married (1) ELIZABETH A. WHALEY March 24, 1861 in Jackson County, AR, daughter of ALEXANDER WHALEY and MARGARET. She was born 1847 in AR, and died in Y. He married (2) SARAH ANN SMITH Abt. 1866, daughter of WILLIAM SMITH and ELIZA. She was born November 1831 in South Carolina, and died Bef. July 30, 1915 in Arkansas. SARAH ANN SMITH had been married before to a MR. HEATH and had four children. 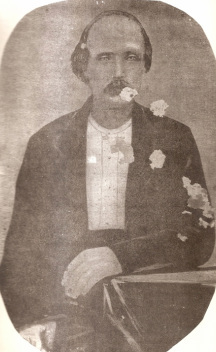 Patrick then married (3) MOLLIE FOSTER April 24, 1881 in Craighead County, AR. She was born 1858. He married (4) EMMA C. WELLIFORD September 22, 1887 in Jackson County, AR. She was born 1852. He married (5) MARTHA WILL March 06, 1890 in Jackson County, AR. She was born 1851. (Information regarding Patrick Andrew McCoy and his descendants contributed by Larry McCoy). 1870 Census, Craighead County, Arkansas, Owned Pe rsonal Property According to Census. James Troy (J. T.) McCoy said that he remembered Doctor Franklin saying that his father went to the mill when Doctor Franklin was nine (that would be 1876) and he never returned . The 1880 census shows S. A. McCoy with sons Thomas B. Heath, James M. Heath and Doctor Franklin McCoy and daughter Nancy Catherine McCoy. Sarah says she was married. Hoyt Graben said (06/09/97) that he remembered his grandfather (Doctor Franklin McCoy) saying that his father came from Arlington, TX, a small town located between Dallas and Ft . Worth. And that he raised throughbred horses. Private Co A, 31th Regiment Arkansas Infantry. Enlisted 25 Dec 1861 for 12 months. Service record states he is 23 y ears old, 5'4", fair complexion, black eyes, dark hair, farmer. Company A— Jackson County. This company was organized at Jacksonport, Arkansas, on No vember 2, 1861, Captain James M. Morgan commanding. The company marched to Pocahontas, Arkansas, where it appears to have served for a time as an unattached company in the garrison commanded by Colonel Solon Borland. When McCray's Battalion was organized on January 25, 1862, the Jacksonport company was assigned as Company A. The company retained this designation when McCray's Battalion was reorganized as the 31st Arkansas Infantry on May 27, 1862. A totalo of 104 men are known to have served with Company A. Nearl y one-fourth of them died of disease during the war; and only three of them were still with the colors at the surrender in April 1865. One member, Private Jonathan Pool, was awarded the Confederate equivalent of the Medal of Honor for his heroism at the Battle of Chickamauga. McCoy, A P - Private— Enlisted at Pocahontas, Arkansas, December 25 , 1861; age 23; discharged before August 31, 1862.
i. UNKNOWN MCCOY, b. May 31, 1867, Jonesboro, AR; d. Y.
Twin brother of Doctor Franklin McCoy, name unknown. Information from James Troy McCoy as told to him by Doctor Franklin McCoy. The story is that Doctor Franklin was a twin. His brother was born May 31 and Doctor Franklin was born within hours on June 1. The twin died at age six of an unknown illness. The 1870 census shows Patrick and Sarah with only two children. Doctor Franklin, age 3 and Nancy Catherine, age 1.
ii. DOCTOR FRANKLIN MCCOY, b. June 01, 1867, Jonesboro, AR; d. August 02, 1952, Jackson County, AL. iii. NANCY "NANNIE" CATHERINE MCCOY, b. January 11, 1869, Arkansas; d. December 11, 1950. WILLIAM MCCOY (HIRAM) was born Abt. 1840 in Alabama. He married MARTHA BELL TREAT, daughter of STEPHEN TREAT and SARAH FRANCIS REECE. She was born Abt. 1842 in Madison County, Arkansas, and died Bef. 1882 in Stone, Arkansas. EPHRAIM MCCOY (HIRAM) was born Abt. 1851, and died Bef. 1884. He married (1) NANCY FREEMAN, daughter of DANIEL FREEMAN and RUTHIE. i. JAMES MCCOY. Died young. ii. MARY MCCOY,born 1869 in Arkansas. Willis and his family are listed in the 1880 census as living in Village, Jackson County, Arkansas. 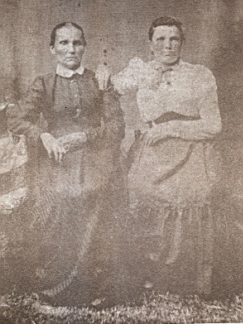 Willis and Polly McCoy raised at least three other children besides their own: Lucy Emeline Howell, daughter of Willis' sister, Nancy J. Howell (who died in April 1885): and James and Mary McCoy, children of Ephraim McCoy (Willis' uncle) and Nancy (Freeman) McCoy (Polly's sister). iii. BENJAMIN F. MCCOY, b. June 13, 1880; d. February 26, 1974, Grubbs, Arkansas. _NANCY J. MCCOY (D. FRANKLIN, HIRAM) was born January 20, 1857 in Arkansas, and died April 17, 1885. She married L. AUGUSTA HOWELL. He was born 1856, and died April 06, 1885.
ii. LUCY EMELINE HOWELL, b. November 06, 1884. RACHEL CARALINE MCCOY (D. FRANKLIN, HIRAM) was born September 04, 1860. She married (1) ELLIE JONES. She married (2) GEORGE MONTGOMERY. She married (3) WILLIAM ALLEN EDWARDS. ii. DELLA EDWARDS, d. 1954.
iii. NANCY JANE EDWARDS. Died young. iv. RUFUS EDWARDS. Died young. v. AQUILLA EDWARDS. Died young. vi. MARTHA EDWARDS, b. March 26, 1886.
vii. ALICE EDWARDS, b. 1888; d. 1914.
viii. EFFIE EDWARDS, b. February 07, 1891.
ix. JOHN M. EDWARDS, b. April 05, 1893; d. December 02, 1924. BENJAMIN FRANKLIN MCCOY (D. FRANKLIN, HIRAM) was born April 19, 1864, and died February 28, 1897. He married FLORENCE SMITH January 12, 1887. On the 1880 census for Village, Jackson County, Arkansas, Franklin McCoy is listed as living with Willis and Polly MCCoy and "works on the farm". The story is told that Benjamin Franklin "Frank" McCoy divorced his wife, who then ran off with their child Ellen Belle. Frank followed on horseback and brought the child back and raised her until his death in 1897. His brother Thomas Atlas McCoy, was appointed her guardian and administrator of his estate. i. ELLEN BELLE MCCOY, b. May 11, 1889; d. March 25, 1965.
i. JOHN WILLIS MCCOY, b. January 01, 1890; d. October 25, 1890.
ii. BARNEY MCCOY, b. August 31, 1894; d. January 12, 1984.
iii. MARIE EMLEY MCCOY, b. August 16, 1896; d. November 05, 1896.
iv. ATLAS MCCOY, b. April 10, 1898; d. September 15, 1898.
v. FANNIE MCCOY, b. October 04, 1899.
vi. JAMES FRANKLIN MCCOY, b. December 24, 1903 in Arkansas. vii. GEORGE NUTEN MCCOY, b. June 08, 1905; d. October 25, 1906.
viii. JESSE LEE MCCOY, b. February 26, 1907.
ii. TILLMAN HALL MCCOY, b. November 20, 1902; d. January 01, 1972.
i. MARY ELIZABETH MCCOY, born August 28, 1901 in Grubbs, Arkansas. Died March 9, 1984 in Memphis, Tennessee. ii. WILLIE NEWTON "DURB" MCCOY, b. September 05, 1903.
iii. STELLA MAE MCCOY, b. August 23, 1908 in Grubbs, Arkansas. Died April 9, 1982 in Tuckerman, Arkansas. iv. MARY ANN MCCOY, born 1921 in Grubbs, Arkansas. Died July 1976 in Memphis, Tennessee. DOCTOR FRANKLIN MCCOY (ANDREW PATRICK,K. HIRAM) was born June 01, 1867 in Jonesboro, AR, and died August 02, 1952 in Jackson County, AL. He married (1) LELA LEODA BROADAWAY November 19, 1892 in Jonesboro, AR, daughter of JESSE BROADAWAY and NANCY HARRIS. She was born May 23, 1874 in Jonesboro, AR, and died January 30, 1923 in Albertville, Marshall County, AL.. He married (2) ETHEL PAYTON GIBSON Abt. 1940. Notes for LELA LEODA BROADAWAY: On delayed birth certificate for Fred Layton McCoy filed in Craighead County Courthouse, Arkansas, mother's name is spelled Lella Luretta Broadaway. Notes for ETHEL PAYTON GIBSON: Ethel Gibson was a childhood sweetheart of Doctor Franklin . After his first wife died the returned to Arkansas and married her and brought her back to Albertville. This was sometime before Uncle Alphard was mobilized and transferred to Florida in 1940. After some time the couple couldn't take care of themselves . Alphard asked his wife to call her family in Arkansas and ask them to come get her. After that Doctor Franklin lived with Alphred and his wife until shortly before he died. iv. FRED LAYTON MCCOY, b. May 03, 1896, Jonesboro, AR; d. April 1966, Albertville, Marshall County, AL..
v. FRANKLIN CALAWAY MCCOY, b. December 26, 1899, Jonesboro, AR; d. November 26, 1977, Rainbow City, AL. vi. GRAYDON FORIEST LADELL MCCOY, b. November 04, 1903, Jonesboro, AR; d. May 25, 1978, Scottsboro, AL. vii. RUTH LORETTA WADE MCCOY, b. January 14, 1907, Jonesboro, AR; d. January 22, 1995, Albertville, Marshall County, AL..
viii. ZILMAN MARCUS MCCOY, b. September 26, 1910, Jonesboro, AR; d. December 16, 1992, Guntersville, Marshall County, AL. ix. EFFIE JOYCE MCCOY, b. October 25, 1913, Bangs, TX (Brown Or Coleman County); d. Abt. 1984, Albertville, Marshall County, AL..
x. ALPHARD ALVIN MCCOY, b. October 06, 1916, Austin (Anson? ), Jones County, Texas; d. January 13, 2007, Albertville, Marshall County, AL..
iii. JAMES(JIP) HENRY BROADAWAY, b. October 12, 1892; d. September 20, 1965.
iv. OLEN ANDERSON BROADAWAY, b. July 09, 1894; d. September 09, 1971.
v. GORDON PRIESTLY BROADAWAY, b. December 09, 1895; d. December 30, 1990.
vi. ANNA JANE BROADAWAY, b. August 09, 1897; d. April 11, 1987.
viii. BESSIE LEODA BROADAWAY, b. July 26, 1901; d. January 24, 1987.
ix. BARNEY FRANKLIN BROADAWAY, b. May 03, 1903; d. July 02, 1982.
x. TANSY WILLIS BROADAWAY, b. October 12, 1904; d. January 27, 1905. Burial: Gibson Cemetery, Craighead County, AR. xi. LITTIE LEE BROADAWAY, b. January 31, 1906; d. April 18, 1980.
xii. DIXIE LEROY BROADAWAY, b. November 02, 1907; d. January 18, 1998.
xiii. LULA BELL BROADAWAY, b. May 22, 1909; d. September 10, 1984.
xiv. TINTY WESTLEY BROADAWAY, b. October 13, 1913; d. November 12, 1913. Burial: Gibson Cemetery, Craighead County, AR. ANDREW MCCOY (WILLIAM, HIRAM) was born Abt. 1867. MARY MCCOY (EPHRAIM, HIRAM) She married ALEX SUTHERLAND. i. RUTHY SUTHERLAND. Died at age of 2 years. ii. NANCY SUTHERLAND, m. CHARLEY STEWARD. iii. LIZZIE SUTHERLAND, m. JOHN HALLMARK. iv. ROSETTA SUTHERLAND, m. MICHAEL JAMES PIPPINGER. v. HAZLE SUTHERLAND. Died at age 18 months. vi. ALTA SUTHERLAND, m. WATKINS. i. WILLIAM HENDERSON HUFFINES, b. August 1882, Arkansas. 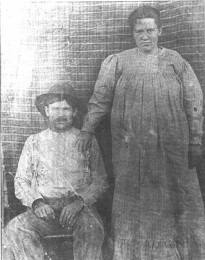 He married MITTIE MONETTE MERRELL on February 11, 1907 in Marion Co., Ar. ii. ROBERT LINCOLN HUFFINES, b. October 03, 1887, Searcy Co, Ar, d. November 09, 1965, Cleveland, Ok.
iv. LUTISHA PEARL HUFFINES, b. October 20, 1891, Searcy Co, Ar, d. January 26, 1928, Prue, Ok. m. HORTON. Burial: Prairie View Cemetary, Prue, Ok..
v. MARY ADELINE HUFFINES, b. December 11, 1893, Arkansas, d. July 1976, Tulsa, Ok. She married BERRY ERECK MARTIN on December 20, 1908 in Searcy Co, Ar. vi. PHILLIP L. HUFFINES, b. August 29, 1855, Big Flat, Baxter Co., Ar, d. Aft. 1940, Nowata, Ok.
vii. JOHN ALEXANDER HUFFINES, b. March 14, 1897, Big Flat, Baxter Co., Ar, d. May 25, 1967, Mountain View, Ar. Obituary for SARAH MCCOY HUFFINES: note printed in the Cleveland American on the Community News page, in the Boston Pool listings, on 28 Apr 1939: "Mrs. Sarah Jane Huffine [sic] passed away Thursday, after a brief illness and was buried at Prairie View cemetery at Prue Saturday at 9:30 o'clock." ii. POLLY ANN DEVORE, b. October 12, 1891, Grubbs, Jackson County, Arkansas; d. May 14, 1963, Jackson County, Arkansas; m. (1) ABNER TELL GUFFEY, December 25, 1907, Jackson County, Arkansas; b. April 10, 1870, Marion, Arkansas; d. February 25, 1917, Jackson County, Arkansas; m. (2) JONATHAN TAYLOR GOODMAN, January 07, 1920, Jackson County, Arkansas; b. January 13, 1898; d. May 18, 1959, Jackson County, Arkansas. iii. MARY FORD, m. (1) FINCH; m. (2) MILLER. v. BEN DANIEL FORD was born March 22, 1912, and died July 20, 1968. He married LILLIE JUNIOR July 30, 1931. She was born Abt. 1911.
vi. FREEMAN FORD, b. Abt. 1917; m. MARY BOAZ, March 10, 1945; b. Abt. 1925. BENJAMIN F. MCCOY (WILLIS, D. FRANKLIN, HIRAM)was born June 13, 1880, and died February 26, 1974 in Grubbs, Arkansas. He married (1) HENRIETTA COPELAND, daughter of ULYSSES S. GRANT COPELAND and MAGGIE JANE GUFFEY. She was born in October of 1890. She died November 10, 1918 shortly after Charley's birth during a flu epidemic. On the 1920 census, Ben's Mother Polly is shown living with Ben and his 4 children. He married (2) ANNIE KELLER. He married (3) MYRTLE TUCKER. BENJAMIN F. MCCOY: Burial: Ballews Chapel Cemetary, Grubbs, Arkansas. i. MABEL EVELYN MCCOY, b. February 22, 1911, Grubbs, Arkansas; d. March 02, 1994, Rock Falls, Illinois. ii. HENRY"MACK" HERSHEL MCCOY, b. October 24, 1913, Grubbs, Arkansas; d. November 26, 2006, Star City, Arkansas. iii. JASPER"JACK" AVNER MCCOY, b. July 07, 1915, Grubbs, Arkansas; d. February 09, 1990, Leachville, Arkansas. iv. CHARLEY"PECK" WILLIS MCCOY, b. Grubbs, Arkansas. Benjamin's WWI draft registration dated September 12, 1918 states he is living in Grubbs, AR with his wife Henrietta. His occupation is listed as farmer. The 1920 census lists him as a widower living with his children and mother Polly in Bird Township, AR. His 1941 WWII draft registration states that he is living in Monette, AR with his wife Annie. LUCY EMELINE HOWELL (NANCY J. MCCOY, D. FRANKLIN, HIRAM) was born November 06, 1884. She married KINARD. Her parents and brother died all in the same week in April of 1885. Lucy was only 6 months old at the time and was raised by Willis and Polly McCoy. i. WILLIS KINARD, m. MINNIE FRANCIS TEAGUE, December 31, 1922; b. August 15, 1907. DELLA EDWARDS (RACHEL CARALINE MCCOY, D. FRANKLIN, HIRAM) died 1954. She married (1) ERNEST PHILLIPS. She married (2) JOHN WADDILL. i. CARINE PHILLIPS. Died at 12 years of age. MARTHA EDWARDS (RACHEL CARALINE MCCOY, D. FRANKLIN, HIRAM) was born March 26, 1886. She married (1) FORD. Mr. Ford and Martha Edwards divorced before 1906. She married (2) HENRY LANCASTER May 12, 1906.
i. BESSIE LANCASTER, b. September 30, 1911; m. HELOIS GEASLIN. ii. MABEL LANCASTER, b. November 07, 1913; d. May 21, 1940; m. HENRY ALLEN. iii. EMMA LANCASTER. Died young. iv. JAMES LANCASTER, b. November 22, 1919; m. LOLA FAYE WILLIAMSON, March 16, 1940. ALICE EDWARDS (RACHEL CARALINE MCCOY,D. FRANKLIN, HIRAM) was born 1888, and died 1914. She married RICHARD FORD. i. INFANT FORD. Died at birth. EFFIE EDWARDS (RACHEL CARALINE MCCOY, D. FRANKLIN, HIRAM) was born February 07, 1891. She married DORSEY WEATHERFORD. He was born October 28, 1889, and died December 08, 1971.
i. JEWEL WEATHERFORD, b. May 28, 1913; m. ALONZO IRELAND, June 21, 1932.
ii. DOROTHY WEATHERFORD, b. July 18, 1915; m. RALPH LEWIS, June 21, 1930.
iii. 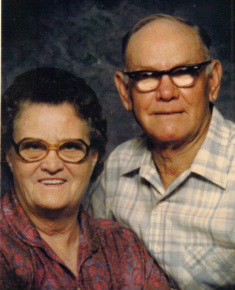 JOHNNIE WEATHERFORD, b. December 05, 1919; m. JEWEL SHELTON. iv. MARTHA ALICE WEATHERFORD, b. August 15, 1923; m. RALPH SMITH, April 1940.
v. CLAUDEEN WEATHERFORD, b. September 18, 1925; m. J. C. CLAYTON, October 14, 1945.
i. VERNIE BAKER. Vernie Baker married and died in childbirth. ii. 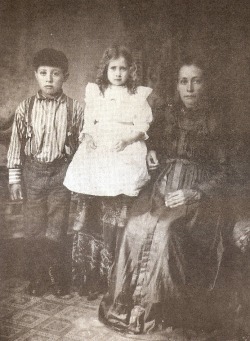 LILLIAN BAKER, m. (1) LANNAS RAGSDALE; m. (2) HUBERT MINKS. iii. JOHN FRANKLIN BAKER, b. January 12, 1909; m. BERTIE GUSTAVIA FOSTER, November 02, 1929; b. November 08, 1911.
iv. ROY BAKER, b. July 05, 1921; m. FRANCIS CHARLENE LAIRD, January 24, 1947.
v. EMMA VIETTA BAKER, b. May 21, 1924; m. HARRY MILTON WISE, May 11, 1946. Harry and Emma Wise were last known to be living in Beech Grove, Indiana (1977). vi. ELLA BELL BAKER, m. VIRGIL BENNETT. i. BERNEVA BEATRICE MCCOY, b. February 11, 1916; m. LOFTIN LINDSEY LONDON, April 22, 1933; b. December 13, 1912. Appearing in NEWPORT DAILY INDENDENT: Mrs. Berneva London, age 93, of Grubbs, died Saturday, April 11, 2009. She was preceded in death by her husband, Loftin London; parents, Barney and Ollie McCoy; one brother, A.J. McCoy; one sister, Pete Williamson and daughter-in-law, Mary Alice London. She is survived by three sons, Coy London and wife, Virginia, of Jonesboro, Jimmy London and wife, Donna, of Grubbs, and Boyce London of Newport; one brother, Bobby McCoy of Grubbs; two sisters, Nadine Humphreys of Newport, and Virginia Odom of Newport; eight grandchildren, 13 great-grandchildren and one great-great grandchild. Funeral services were held at 2 Monday, April 13, 2009 at the Church of Christ in Grubbs with internment in Ballew’s Chapel Cemetery. Arrangements provided by Dillinger Funeral Home. ii. ELLA BERNICE MCCOY, b. September 05, 1920; m. ANDREW ELDRED WILLIAMSON, January 10, 1946; b. February 04, 1917. Ella Bernice McCoy's nickname was "Pete". iii. ATLAS GEORGE "A.G." MCCOY, b. November 23, 1923; d. July 07, 1925.
iv. FANNIE NADEAN MCCOY, b. September 09, 1925; m. FRED HAYNES HUMPHREYS; b. October 25, 1919.
v. BOBBY LYNN MCCOY, b. January 04, 1932; m. BETTY LOU CASEN, July 08, 1954.
vi. VIRGINIA DALE MCCOY, b. January 26, 1935; m. MARVIN MAURICE ODOM, July 04, 1954; b. May 30, 1933.
i. LLOYD THOMAS CLOUD, b. August 27, 1920; m. MADELINE CLAYTON, October 08, 1941. JAMES FRANKLIN MCCOY (THOMAS ATLAS, D. FRANKLIN, HIRAM) was born December 24, 1903. He married (1) GERTRUDE NOBEL, daughter of LOYD NOBEL and ELIZABETH JONES. She was born June 21, 1904, and died December 18, 1940. He married (2) PEARL WATKINS. i. HELEN MCCOY, b. November 15, 1921; d. October 13, 1933. Helen McCoy was hit by a car and killed. ii. KATHLEEN LOUDEAN MCCOY, b. February 24, 1924; m. HUGH BULLARD; d. 1976.
iii. MADGE MARIE MCCOY, b. July 26, 1926; m. GERALD BULLARD. iv. MARY ELIZABETH MCCOY; m. CHARLES MCKEE. v. FANNIE MILDRED "FRAN" MCCOY1; m. DAVID J. NANCE. vi. JYLES FRANKLIN "SONNY" MCCOY; m. MARY ANN SPRINGER, March 05, 1954.
vii. JAMES MCARTHUR MCCOY; m. JUNE ENGLES. viii. RONALD THOMAS MCCOY; m. PHYLLIS PICKETT. JESSE LEE MCCOY (THOMAS ATLAS, D. FRANKLIN, HIRAM) was born February 26, 1907. He married DOROTHY BRYANT. She was born October 22, 1912. Jesse Lee and Dorothy McCoy were last known to be living at Grubbs, Arkansas. iii. JESSE LEE MCCOY; m. MOZELL BAKER, April 08, 1967. TILLMAN HALL MCCOY (JASPER NEWTON,D. FRANKLIN, HIRAM)was born November 20, 1902, and died January 01, 1972. He married MYRTLE HOSFORD. She was born July 28, 1902.
i. DAISY MCCOY, b. January 21, 1920; m. JACK PARKER. ii. MATILDA MCCOY, b. April 08, 1926; m. HARLEN NEAL. iii. ESTELLE MCCOY, b. August 25, 1927; m. VETETO. iv. SHIRLEY FAYE MCCOY; m. BILLY QUALLS. WILLIE MELTON MCCOY (JASPER NEWTON, D. FRANKLIN, HIRAM) He married JEWEL SPRINGER. i. ALFRED WESLEY MCCOY; m. BESSIE VAN HORN. ii. LAWRENCE HAROLD MCCOY, b. July 01, 1930; d. August 1951. Lawrence Harold McCoy never married. iii. ETTA MAE MCCOY; m. (2) AUDREY GREEN, May 25, 1961.
i. GLENSIL SILER, born April 27, 1917 in Grubbs, Arkansas. Died December 1, 1993 in Nashville, Tennessee. ii. CLENCY OLA SILER born September 18, 1919 in Amarillo, Texas. Died November 29, 2001 in Memphis, Tennessee. iii. GEORGE L. SILER, born September 15, 1921 in Grubbs, Arkansas. Died July 23, 1985 in North Little Rock, Arkansas. v. JOHN MARION SILER born February 15, 1939 in Memphis, Tennessee. Died May 23, 2004 in Ruston, Louisiana. WILLIE NEWTON "DURB" MCCOY (GEORGE W., D. FRANKLIN, HIRAM) was born September 05, 1903. He married HAZEL SULLIVAN. i. JANETTA LOUISE MCCOY, b. May 24, 1923; m. (1) FLOYD ROSS; m. (2) EARL RODEN. ii. ELLA BELLE BLANKS; m. ROBERT B. LANCASTER, February 19, 1944.
iv. ALFORD THOMAS BLANKS JR., m. BRENDA JOAN SULLINS, December 29, 1959; Alford Thomas Blanks, Jr. was employed at KAIT-TV in Jonesboro, Arkansas as a Radio Announcer. iv. JACKIE RAY "JACK" MCCOY. 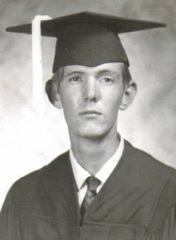 v. GEORGE LAYTON MCCOY, b. August 06, 1936, Marshall County, AL; d. August 05, 1998, Albertville, Marshall County, AL..
Notes for FRANKLIN CALAWAY MCCOY: According to son James Troy (J. T.) Sr, Frank was 5' 6" an d weighed 230 pounds. He worked for the RR in Atalla unti l 1932 or 33. He then farmed until 1941 when he went to work for Goodyear in Gadsden. J. T. farmed the place from th e age of 14 until he went into the Army in 1945.
ii. MRYTLE VIRGINIA MCCOY, b. March 20, 1925; d. April 2003.
iii. JAMES TROY (J. T.) MCCOY, b. July 28, 1927, Alexander City, AL; d. July 1998, Albertville, Marshall County, AL.. According to Dorothy Joyce McCoy, Dorothy Mae Wise was only 4'8" tall. Martha, Dorothy's youngest sibling said that Dorothy was her favorite sister. She remembered her as "alw ays very gentle". Dorothy had a bad eye. Her youngest sister stated that when Dorothy was a baby, her mother had a habit of temporarily sticking diaper pins in the shoulder of her dress when changing a diaper. One time she forgot to remove one of the pins. When she put Dorothy to her shoulder to burp her, the pin damaged her eye. iv. GRAYDON FORIEST LADELL MCCOY, b. April 06, 1927, Toledo, OH; d. January 02, 2009, Guntersville, Marshall County, AL. v. VIOLET MAE MCCOY, b. August 08, 1931; d. February 15, 1961, Scottsboro, AL; m. SAM GARRARD. vi. DOROTHY JOYCE MCCOY, b. April 01, 1933; d. March 27, 2009, Scottsboro, AL. vii. LELA ROSE MCCOY, b. February 17, 1935; d. June 08, 1995, Birmingham, AL. Notes for RUTH LORETTA WADE MCCOY: Ruth was five when her family moved from Arkansas to Texas . She was ten or eleven when they moved from Texas to Tennessee. She remembers living in Maryville when WWI was over . She remembers the soldiers marching in the streets of Maryville. She also remembers an influenza epidemic. She had the flu but got over it. She could see a colored cemetery out of her window. She remembers seeing several people buried there every day. The following is from the History o f Maryville (1918) website 04/23/97: "Spanish influenza epidemic causes temporary closure of Maryville Polytechnic School and quarantine of Maryville College. Movie theaters and billiard parlors also ordered closed"
ii. ALTON ALVIN (AL) BAUGH. iii. JAMES REUBEN BAUGH, b. April 09, 1927; d. May 04, 1994, Albertville, Marshall County, AL..
iv. MONCIE LEE BAUGH, b. May 02, 1930; d. April 23, 1992, Albertville, Marshall County, AL..
ix. CALVIN JAY (CHINK) MCCOY, b. June 27, 1941; d. August 26, 2008, Albertville, Marshall County, AL..
EFFIE JOYCE MCCOY (DOCTOR FRANKLIN, ANDREW PATRICK,K. HIRAM) was born October 25, 1913 in Bangs, TX (Brown Or Coleman County), and died Abt. 1984 in Albertville, Marshall County, AL.. She married (1) GRADY GRABEN. 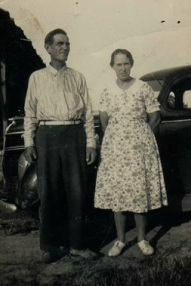 He was born August 10, 1914, and died June 18, 1951 in Albertville, Marshall County, AL.. She married (2) MANUEL MURPHY. EFFIE JOYCE MCCOY & GRADY GRABEN : Burial: Mt. Vernon Cemetery. iii. GRADY HOYT GRABEN, b. July 26, 1935; d. April 04, 2006.
ii. JAMES VONDAL BROADAWAY, b. June 03, 1921; d. December 24, 1988.
i. GEORGIA WANDALEE BROADAWAY, b. October 28, 1925; d. August 30, 2008.
ii. WILLIS PRIESTLY BROADAWAY, b. August 13, 1929, Gilkerson, AR; d. April 05, 2010, Jonesboro, AR. iii. DALTON INEZ ADAMS, b. February 09, 1922; d. May 25, 1999.
iii. HELEN LOUISE STOPFER, b. February 19, 1923; d. May 24, 1999.
i. NORMAN WILLIS LEE, b. May 09, 1926; d. May 09, 1994, Antioch, TN. i. JAMES H. (JIMMY) GREEN. PHILLIP ISAAC HUFFINES (SARAH MCCOY, WILLIAM, HIRAM) , b. August 29, 1855, Big Flat, Baxter Co., Ar, d. Aft. 1940, Nowata, Ok. He married GENETT PEARL MERRELL on May 01, 1909 in Marion Co., Ar. i. MARY MADGELEAN HUFFINES, b. August 21, 1909, Big Flat, Baxter Co., Ar, d. January 05, 1997, Pawhuska, Ok.
ROBERT LINCOLN HUFFINES (SARAH MCCOY, WILLIAM, HIRAM), was born October 03, 1887 in Searcy Co, Ar, and died November 09, 1965 in Cleveland, Ok. He married SARAH ESTER ROSE on October 03, 1912 in Talihina, Ok. Burial: Woodland Cemetary, Cleveland, Ok.
i. JOHN ALBERT HUFFINES, b. August 11, 1913, Talihina, Ok, d. January 27, 1988, Cleveland, Ok.
ii. ROBERT WOODROW HUFFINES, b. August 30, 1915, Talihina, Ok, d. March 16, 1994, Cleveland, Ok.
iii. 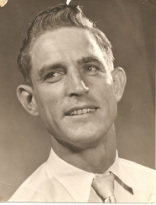 CLARENCE EDWARD HUFFINES, b. 1933, Maricopa, Az, d. 1933, Maricopa, Az. JOHN ALEXANDER HUFFINES (SARAH MCCOY, WILLIAM, HIRAM), was born March 14, 1897 in Big Flat, Baxter Co., Ar, and died May 25, 1967 in Mountain View, Ar. He married LILLIE EARNEST LEE on February 08, 1920 in Alco, Ar. Burial: Alco Cemetary, Stone Co. Ar. i. DOYLE LLOYD HUFFINES, b. January 30, 1922, d. December 1981, Alco, Ar. ii. GENEVIE HUFFINES, b. January 05, 1925, d. November 20, 1929, Jonesboro, Ar. iii. VIRGIE MAE HUFFINES, b. May 11, 1927, Alco, Ar, d. August 09, 1933, Alco, Ar. MABEL EVELYN MCCOY (BENJAMIN F., WILLIS, D. FRANKLIN, HIRAM)was born February 22, 1911 in Grubbs, Arkansas, and died March 02, 1994 in Rock Falls, Illinois. She married JAMES HARRISON JOSLIN December 1941.
i. JAMES RAY JOSLIN, b. July 20, 1929, Arkansas; d. September 07, 2002, Rock Falls, Illinois. ii. LOIS ELIZABETH JOSLIN, b. August 26, 1934, Arkansas; d. 2004, Arizona. iii. MABLE LUCILLE JOSLIN, b. September 09, 1939, Fort Smith, Arkansas; d. May 11, 2005, Savannah, Illinois. HENRY"MACK" HERSHEL MCCOY (BENJAMIN F., WILLIS, D. FRANKLIN, HIRAM) was born October 24, 1913 in Grubbs, Arkansas, and died November 26, 2006 in Star City, Arkansas. He married (1) O'NEAL HOBSON. He married (2) RETHA ORENE NEWMAN. She was born November 21, 1913 in Star City. Daughter of C.V. NEWMAN and GILLIE ROSALEE RALEY. i. ALICE MAZINE MCCOY, b. June 05, 1932, Monette, Arkansas; d. August 1933, Monette, Arkansas. ii. WILMA JEAN MCCOY, b. Monette, Arkansas. iii. HERSHEL"ROCK" O'DEAN MCCOY, b. February 03, 1936, Arkansas; d. November 19, 2007, Pine Bluff, Arkansas. iv. JOHN HENRY MCCOY, b. September 18, 1939, Arkansas; d. December 19, 1995, Fayetteville, North Carolina. v. DOUGLAS MCARTHUR MCCOY, b. January 1941, Monette, Arkansas; d. 1941, Monette, Arkansas. vi. CHARLIE FRANKLIN MCCOY, b. Arkansas. vii. JAMES RALPH MCCOY, b. June 15, 1947, Arkansas. viii. JERRY ALLEN MCCOY, b. March 09, 1950, Arkansas. STAR CITY - Henry Hershel "Mack" McCoy, 93, of Star City, died Sunday at Jefferson Regional Medical Center. He was born Oct. 24, 1913, at Grubbs, a son of the late Benjamin Franklin McCoy and Henrietta Copeland McCoy. He had worked as a mechanic and for the state forestry commission, as well as raising livestock. He was a member of Lone Grove Missionary Baptist Church at Star City. Survivors include his wife, Retha Orene Newman McCoy; four sons, Hershel "Rock" McCoy of Pine Bluff, Charlie McCoy and Jerry Alan McCoy, both of Star City, and James R. McCoy M.D. of Searcy; one daughter, Wilma Jean Henson of Star City; one stepson, Charles Thomas Paschal of Pine Bluff; one brother, Charlie Willis "Peck" McCoy of Elaine; 19 grandchildren; and several great-grandchildren. He was also preceded in death by his first wife, O'Neal Hobson McCoy; two sons, John Henry McCoy and Douglas McArthur McCoy; one daughter, Alice Mazine McCoy; two brothers, Jasper Avner "Jack" McCoy and Ulysses McCoy; and one sister, Mabel Evelyn Joslyn. Retha Orene McCoy, 97, of Star City died Wednesday at Gardner Nursing Center in Star City. She was born November 21, 1913 in Star City (Feeneyville Community) to the late C.V. and Gillie Rosalee Raley Newman. She was a member of Lone Grove Missionary Baptist Church near Star City and was a homemaker. She was valedictorian of Glendale High School in 1934, and loved to work crosswords. Also preceding her in death was her husband, Henry Hershel “Mack” McCoy; 1 son, Charles Thomas Paschal; 2 sisters, Rhetta Eileen Newman, Eugenia McCool; and 1 brother, Ralph Leroy Newman. Survivors include 2 sons, Dr. James McCoy of Searcy, Jerry Alan McCoy of Star City (Feeneyville Community); 8 grandchildren; 12 great grandchildren; and 2 great-great grandchildren. Funeral Services will be 3:30 p.m. Saturday at Griffin Funeral Chapel in Star City. Bro. Don Breshears will officiate. Burial will be in Hickory Grove Cemetery. Visitation will be 2:30 until funeral time Saturday at the funeral home. In lieu of flowers, the family requests that memorials be made to Gardner Nursing Center in Star City. JASPER"JACK" AVNER MCCOY (BENJAMIN F., WILLIS, D. FRANKLIN, HIRAM) was born July 07, 1915 in Grubbs, Arkansas, and died February 09, 1990 in Leachville, Arkansas. He married DOLLIE CONNER. She was born February 01, 1917 in Timbo, Arkansas, and died April 06, 1992 in Leachville, Arkansas. i. CHARLES CLIFTON MCCOY, b. September 14, 1936, Childress, Arkansas; d. February 12, 2009, Monette, Arkansas. ii. GLENDA MAXINE MCCOY, b. Childress, Arkansas. iii. WILLIS RAYMOND MCCOY, b. Leachville, Arkansas. v. HARVEY LYNN MCCOY, b. Leachville, Arkansas. vi. HENRIETTA MCCOY, b. Leachville, Arkansas. viii. MELVIN ANTHONY MCCOY, b. Leachville, Arkansas. ix. CATHY REGINA MCCOY, b. Leachville, Arkansas. x. TONY MCCOY, b. Leachville, Arkansas. Michael McCoy was killed in a car accident his senior year of high school. CHARLEY"PECK" WILLIS MCCOY (BENJAMIN F., WILLIS, D. FRANKLIN, HIRAM) was born in Grubbs, Arkansas. He married GLADYS HARRELL. i. PATRICIA ANN MCCOY, b. Arkansas. 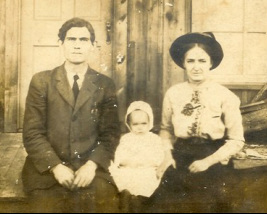 GLENSIL "GLEN" SILER (MARY ELIZABETH MCCOY, GEORGE W., D. FRANKLIN, HIRAM) born April 27, 1917 in Grubbs, Arkansas. Died December 1, 1993 in Nashville, Tennessee.He married (1) VIRGIE MAE BOWLING on March 6, 1937. They divorvced in 1948. He married (2) BETTY JOY FRENCH on August 25, 1950 in Hernando, De Soto, Mississippi. i. LARRY ALAN SILER, born April 3, 1948 and died April 3, 1978.
ii. TERESA JOY SILER, born April 5, 1956 in Tinley Park, Illinois. Died July 28, 1973 in Savannah, Tennessee. iii. PAUL STEPHEN SILER, born June 20, 1959 and deied June 20, 1959 in Sheffield, Alabama. CLENCY OLA SILER (MARY ELIZABETH MCCOY, GEORGE W., D. FRANKLIN, HIRAM) born September 18, 1919 in Amarillo, Texas. Died November 29, 2001 in Memphis, Tennessee. She married ZEPHRO EARL HOUCHIN. He was born March 21, 1905 in Newport, Arkansas. He died April 19, 1979 in Memphis, Tennessee. Burial for CLENCY OLA SILER: Ballews Chapel Cemetery, Grubbs, Arkansas. i. BABY BOY HOUCHIN, born in 1938 and died in 1938. SARAH JANE MCCOY (FRED LAYTON, DOCTOR FRANKLIN, ANDREW PATRICK, K. HIRAM) She married (1) L. D. CAMP. He was born November 04, 1918 in Marshall County, AL, and died 1971. She married (2) JAMES "JIM" LOEL BLACKWOOD. iii. PRISCILLA ANN CAMP, m. BILLY JOE PAINTER. BETTY SUE BAUGH (RUTH, DOCTOR FRANKLIN, ANDREW PATRICK, K. HIRAM) married (1) EDWARD HOLLIS. He died in August 1974. Married (2) ROBERT HUNLEY. EMMA VIETTA BAKER (ELLEN BELLE, BENJAMIN FRANKLIN, D. FRANKLIN, HIRAM) , b. May 21, 1924; m. HARRY MILTON WISE, May 11, 1946. Harry and Emma Wise were last known to be living in Beech Grove, Indiana (1977). 87, passed away November 24, 2011 with loving family by her side. She was born May 21, 1924 in Grubbs Arkansas. She was the daughter of George and Ellen (McCoy) Baker, and attended schools in Grubbs Arkansas. She married the love of her life, Harry M. Wise on May 11,1945 in Indianapolis Indiana. She retired from R.C.A. in 1973 after 18 years of service. She attended Fountain Square Church of Christ and loved family by her side. She is survived by two daughters, Shirley M. (David) Bunch, Indianapolis, Sharon F. Parker, Indianapolis, three grandchildren, and six great grandchildren. Graveside Services will be 10 AM, Tuesday, November 29, 2011 at Forest Lawn Memory Gardens and Funeral Home, 1977 South State Road 135, Greenwood. MATTIE MAE MCCOY (FRED LAYTON, DOCTOR FRANKLIN, ANDREW PATRICK, K. HIRAM)was born February 03. She married (1) BILLY ALEXANDER. She married (2) HOYT MOULTRIE. She married (3) HUSTON BROYLES. i. JOHNNIE ALEXANDER, m. MR. TERRELL. ii. PHILLIP SHARRON ALEXANDER, m. MR. HOLDER. iii. LINDA MOULTRIE, m. MR. LANKFORD. JACKIE RAY "JACK" MCCOY (FRED LAYTON, DOCTOR FRANKLIN, ANDREW PATRICK, K. HIRAM)He married HELEN EDITH PHILLIPS. i. KENNETH (KENNY) JACKIE MCCOY. ii. AMELIA DIANE MCCOY, m. (1) JOHNATHAN ALLEN PARKER; m. (2) BART LLOYD COE. iv. MICHAEL (MIKE) FRED MCCOY, b. October 02, 1964, Albertville, Marshall County, AL; m. FELICIA ROBYN HAMM. GEORGE LAYTON MCCOY (FRED LAYTON, DOCTOR FRANKLIN, ANDREW PATRICK, K. HIRAM)was born August 06, 1936 in Marshall County, AL, and died August 05, 1998 in Albertville, Marshall County, AL.. He married ILA SUE WILSON. i. SUSAN ELIZABETH MCCOY, m. DEWAYNE CLICK. ii. REGINA ANNETTE MCCOY, m. (1) ARLEN RAY MOORE; m. (2) LARRY WILLIAM SORTOR. iii. BETH LYNN MCCOY, m. RONOLD JOSEPH EVELSIZER. ANNIE LEONA MCCOY (FRANKLIN CALAWAY, DOCTOR FRANKLIN, ANDREW PATRICK, K. HIRAM) She married (1) BRUCE WYLES. She married (2) JAMES EDWARD MAYO. i. JAMES (JIMMY) EDWARD MAYO. MRYTLE VIRGINIA MCCOY (FRANKLIN CALAWAY, DOCTOR FRANKLIN, ANDREW PATRICK,K. HIRAM) was born March 20, 1925, and died April 2003. She married (1) ERBY C. BEASLEY. She married (2) HARWELL BRASWELL (BUD) HAMBRIC. JAMES TROY (J. T.) MCCOY (FRANKLIN CALAWAY, DOCTOR FRANKLIN, ANDREW PATRICK, K. HIRAM) was born July 28, 1927 in Alexander City, AL, and died July 1998 in Albertville, Marshall County, AL.. He married MARJORIE CORBIN. i. JAMES (JIM) TROY MCCOY, m. NELDA JO SEGERS. ii. STEVEN FRANKLIN MCCOY, m. (1) KAREN ANISE BAKER; m. (2) DONNA LOU HAZELRIG. iii. DEBORAH CAROL MCCOY, m. LARRY MCDONALD. iv. RANDALL PATRICK MCCOY, m. SYLVIA ANN MORGAN. TIM IRWIN MCCOY (GRAYDON FORIEST LADELL, DOCTOR FRANKLIN, ANDREW PATRICK, K. HIRAM) He married JEAN KAYE WATERS. i. ANGELA (ANGIE) DIANE MCCOY, m. DAVID WAYNE ANDERSON. SHIRLEY RUTH MCCOY (GRAYDON FORIEST LADELL, DOCTOR FRANKLIN, ANDREW PATRICK, K. HIRAM)She married DELBERT LACKEY. i. STANLEY LADELL LACKEY, m. DORIS ALLEEN WESLEY. ii. JENNIFER JANELLE LACKEY, m. JOE DAVID TEDDER. ALICE RUBY MCCOY (GRAYDON FORIEST LADELL, DOCTOR FRANKLIN, ANDREW PATRICK, K. HIRAM) She married CHARLES ROBERT STANFIELD. i. TONY CHARLES STANFIELD, m. CONNIE MONTIECE PRUETT. ii. MARGIE GAIL STANFIELD, m. WILLIAM BRUCE GROSS. GRAYDON FORIEST LADELL MCCOY (GRAYDON FORIEST LADELL, DOCTOR FRANKLIN, ANDREW PATRICK, K. HIRAM) was born April 06, 1927 in Toledo, OH, and died January 02, 2009 in Guntersville, Marshall County, AL. 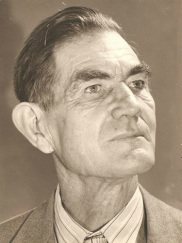 He married PATSY JUNE HUBBLE, daughter of SANT HUBBLE and FRANNIE BOLDING. Notes for GRAYDON FORIEST LADELL MCCOY: - 28 January 2007 - Mom and dad told Jo and I that they went to Chattanooga for their honeymoon. Her brother Kenneth and his future wife Barbara Knight drove them there in Patsy's father's car. Daddy unexpectedly decided to take a train to Panama City, Florida. They met a couple in Panama City that was traveling to Birmingham. They think they rode a bus from Birmingham back to Guntersville. i. LARRY ALAN MCCOY, m. JO ANN MCKNIGHT. ii. SANDRA MARIE MCCOY, m. (1) DAVID LENT CHANDLER; m. (2) CHARLES ANTHONY (TONY) WILLIAMS. DOROTHY JOYCE MCCOY (GRAYDON FORIEST LADELL, DOCTOR FRANKLIN, ANDREW PATRICK, K. HIRAM)was born April 01, 1933, and died March 27, 2009 in Scottsboro, AL. She married (1) JAMES WALLACE KEMP. She married (2) ATHIE CLYDE MINOR Abt. 1971. He was born Abt. 1907, and died Abt. 1981. DOROTHY JOYCE MCCOY: (Medical):Died in home of her sister Ruby in Scottsboro, AL. i. JOYCE MARIE MINOR, m. (1) DANNY STEPHEN HICKLEN; m. (2) JERRY DARRELL WILBURN. LELA ROSE MCCOY (GRAYDON FORIEST LADELL, DOCTOR FRANKLIN, ANDREW PATRICK, K. HIRAM)was born February 17, 1935, and died June 08, 1995 in Birmingham, AL. She married (1) ALLEN BREWER. She married (2) EARLY L. BENEFIELD. LELA ROSE MCCOY: Lela was deaf bacause she was sick with the measles when sh e was a baby. i. MICHAEL LEE (MIKE) BREWER, m. PHYLLIS REID. LINDA SUE MCCOY (GRAYDON FORIEST LADELL, DOCTOR FRANKLIN, ANDREW PATRICK, K. HIRAM) She married (1) RONALD CATLIN. She married (2) LARRY DOWNS. She married (3) LOREN MORRELL. She married (4) CHRIS BLACK. BETTIE SUE BAUGH (RUTH LORETTA WADE MCCOY, DOCTOR FRANKLIN, ANDREW PATRICK, K. HIRAM) She married BOB HUNLEY. ALTON ALVIN (AL) BAUGH (RUTH LORETTA WADE MCCOY, DOCTOR FRANKLIN, ANDREW PATRICK, K. HIRAM) He married (1) SUE. He married (2) VICKIE BAUGH. i. TONY RAY BAUGH, m. NITA HILLY. ii. BETTY FAYE BAUGH, m. BILLY CAGLE. MONCIE LEE BAUGH (RUTH LORETTA WADE MCCOY, DOCTOR FRANKLIN, ANDREW PATRICK, K. HIRAM) was born May 02, 1930, and died April 23, 1992 in Albertville, Marshall County, AL.. He married SHIRLEY JONES. i. ANGELA (ANGIE) BAUGH, m. GEORGE ALLEN PAYNE. BOBBY GENE MCCOY (ZILMAN MARCUS, DOCTOR FRANKLIN, ANDREW PATRICK, K. HIRAM) He married HENRETTA FARMER. i. CHERYL FAITH MCCOY, m. JERRY WAYNE BOLDING. ii. DALE ALLEN (TIGER) MCCOY, b. March 01, 1964; d. May 14, 1988, Crestview Cemetery, Guntersville, AL. BILLY WAYNE MCCOY (ZILMAN MARCUS, DOCTOR FRANKLIN, ANDREW PATRICK, K. HIRAM) He married DORA LEE SMITH. i. DONNA KAY MCCOY, m. MARSHALL BURKE. BENNY RAY MCCOY (ZILMAN MARCUS, DOCTOR FRANKLIN, ANDREW PATRICK, K. HIRAM) He married LINDA KAY HENSON. She was born May 20, 1944, and died April 24, 1980 in Brashiers Chapel Cemetery, Marshall County, AL. i. SHELIA KAY MCCOY, m. (1) JAMES KITCHENS; m. (2) MIKE SMITH. iii. DANNY MERYL MCCOY, m. DENISE. LEON THOMAS MCCOY (ZILMAN MARCUS, DOCTOR FRANKLIN, ANDREW PATRICK, K. HIRAM) He married NANCY MARIE MOORE. i. JAMES STANLEY MCCOY, m. RHONDA WOODARD. ii. REBECCA ANN MCCOY, m. WENDELL SMITH. JIMMY MARCUS MCCOY (ZILMAN MARCUS, DOCTOR FRANKLIN, ANDREW PATRICK, K. HIRAM)He married (1) LYNDELL DIANNE BURKE. He married (2) CRYSTAL CHRIS HEAVIRLAND. i. BRYAN MARCUS MCCOY, m. TEENA JO STEELE. EDWARD MILTON MCCOY (ZILMAN MARCUS, DOCTOR FRANKLIN, ANDREW PATRICK, K. HIRAM) He married (1) CLAUDINE MARIE MINTON. He married (2) GENEVA CAGLE. ii. MACHERA MEAH MCCOY, m. JACK DOUGLAS DICKISON. JUDY COLLEEN MCCOY (ZILMAN MARCUS, DOCTOR FRANKLIN, ANDREW PATRICK, K. HIRAM) She married LIONEL FRANCIS PINN. He was born August 02, 1923, and died August 09, 1999 in Guntersville, Marshall County, AL. i. WENONAH COLLEEN PINN, m. MICHAEL JOHN ESHA. KATHY MARIE MCCOY (ZILMAN MARCUS, DOCTOR FRANKLIN, ANDREW PATRICK, K. HIRAM) She married (1) RUBEL CIPRIANO GOMEZ. He died April 1997 in Guntersville, Marshall County, AL. She married (2) AUGUSTUS MARTIN ALRED. Notes for CALVIN JAY (CHINK) MCCOY: Calvin said (06/08/08) that his football coach Lee of Guntersville High School gave him the name Chink, he guessed because he looked like a Chinaman. His borther Billy said he had no neck, just a head and shoulders, because of his muscles. He was a star football player during his high school years in Guntersville, later playing for the University of Georgia and Jacksonville State. He survived 4 heart attacks before losing a 3-year battle with cancer. Calvin Jay "Chink" McCoy of Hokes Bluff near Gadsden died Tuesday, Aug. 26, 2008, in Shepherd's Cove hospice in Albert ville. He was 67. He grew up in Guntersville as the middle child of 9 children of Zelman Marcus and Flossie Mildred Sparks McCoy. He was the first one to die. He made Parade Magazine's high school All-American football team in 1959 as a halfback at Marshall County High School (now GHS). He held the school record until just recently for the longest runback of an interception.. His classmates voted him "Mr. MCHS." He received a football scholarship to Georgia and later transferred to Jacksonville State. At Jacksonville he met and married Bobbie Jean Higgins. They had been married 44 years. He worked 32 years for Goodyear Tire & Rubber in Gadsden. A fter retirement, he spent much of his time at the Hokes Bluff Huddle House, which is owned and operated by his wife. He enjoyed drinking coffee and socializing with his friends . He also enjoyed trips to casinos in Mississippi. He was a member of the First Methodist Church of Hokes Bluff. He was known as someone who would help others in any way he could. He survived 4 heart attacks and open heart surgery before being diagnosed with lung cancer in January 2005. They told him then that he probably had only a year to live. During his illness he especially enjoyed visits from his high school teammates, including Eugene Griep, Frankie McClendon and Lavon Jackson, as well as Coach Percy Lee. Mr. Griep carried him a film of the Guntersville-Albertville football game that was played his senior year and they watched it together. He is survived by his wife, Bobbie Jean McCoy; 3 children , Ruchele McCoy, Lynette Marbut (Kip) and Sam McCoy, all of Hokes Bluff; 4 grandchildren, Jennifer Landrum (Jason), Josh Marbut, Natalie McCoy and Chance McCoy, all of Hokes Bluff; 6 brothers, Bobby McCoy, Billy McCoy (Lee), Leon McCoy (Nancy) and Edward McCoy (Geneva), all of Guntersville, Benny McCoy of Texas and Jimmy McCoy (Kris) of Minnesota ; 2 sisters, Judy Pinn of Guntersville and Kathy Aired of Tennessee; and a sister-in-law, Penny Riggins Carter of Gadsden He was preceded in death by 2 brothers-in-law, Lionel Pinn and Ray Carter, and a sister-in-law, Rita McCoy. A memorial service was held Friday at the Glencoe-Hokes Bluff Funeral Chapel. Rev. Harvey Beck officiated. The family suggests memorial donations to the American Canc er Society, the First Methodist Church of Hokes. Bluff, th e Cathedral of Praise Church of Alabama City, or the Hoke s Bluff Athletics Fund. ii. ADA LYNETTE MCCOY, m. KIP MARBUT. iii. SAMUAL JAY RIGGINS MCCOY. ALPHARD COY GRABEN (EFFIE JOYCE MCCOY, DOCTOR FRANKLIN, ANDREW PATRICK,K. HIRAM) He married CHARLOTTE ANN OLIVER. ii. ALAN BRYANT GRABEN, m. TINA GAYLE CARVER. LELA JOYCE GRABEN (EFFIE JOYCE MCCOY, DOCTOR FRANKLIN, ANDREW PATRICK, K. HIRAM) She married DENNIS JEROME GALLOWAY. i. JENNIFER DENISE GALLOWAY, m. CHARLES RANDALL MUSICK. iii. KELLEN JAY GALLOWAY, m. SAMATHA STROUP. GRADY HOYT GRABEN (EFFIE JOYCE MCCOY, DOCTOR FRANKLIN, ANDREW PATRICK, K. HIRAM) was born July 26, 1935, and died April 04, 2006. He married NELL BROWN. He worked 45 years at the Wayne Farms feed mill in Guntersville, the last 11 years as plant manager. He taught and called square dancing for years in several towns, including Guntersville. Grady Hoyt Graben of Albertville died Tuesday, April 4, 2006, in Baptist Montclair Hospital in Birmingham. He was diagnosed 3 years ago with leukemia and had gone into the hospital for surgery, but he didn't survive the operation. He wa s 70. His funeral will be today (Saturday) at 2:00 at Albertville Memorial Chapel. Elder Phillip Gilmore and Elder Rickey Harcrow will officiate. Burial will be in Marshall Memorial Gardens. Mr. Graben was born at Douglas but had lived in Albertville all his adult life. He started as a production worker at the Guntersville plant that was also known as Allied Mills. He worked his way up to plant manager, the position he held when he retired in June of 2003. In 1953 he married Nell Brown, who was also from Douglas. His parents were Grady B. and Effie Joyce McCoy Graben. About as many people called him by his middle name, Hoyt, as by his first name, Grady, and he answered to both. He was a member and deacon at Zion Hill Primitive Baptist C hurch at Douglas. He taught square dancing in lots of places, including Gunte rsville, Albertville and Boaz here and Troy and Union Sprin gs in South Alabama. He is survived by his wife, Nell Graben; a daughter, Sabrina Holcomb (Michael) of Louisiana; a son, Grady Michael Grab en (Sandra) of Albertville; 4 grandchildren; 3 great-grandc hildren; a sister, Lela Galloway of Huntsville, and a brother, Coy Graben of Albertville. Pallbearers at his funeral will be Alan Graben, Craig Grabe n, Brian Graben, Derek Holcomb, Scott Smith, Matthew Gallow ay, Seth Holcomb and Kyle Pettus Graben. The family suggests memorial donations to Zion Hill Primiti ve Baptist Church. i. GRADY MICHAEL GRABEN, m. SANDRA ANN WHITEHEAD. ii. SABRINA LYNELL GRABEN, m. MICHAEL HOYT HOLCOMB. MARTHA JOYCE MCCOY (ALPHARD ALVIN, DOCTOR FRANKLIN, ANDREW PATRICK, K. HIRAM) She married MARLON TYRONE KILLION. i. MICHAEL ALLEN KILLION, m. MARY LEANNE MCCLENDON. iii. MARTIN TYRONE KILLION, m. TAMMY FAUCETT. iv. MATTHEW LADON KILLION, m. ERIN ARWEN STEWART. MARY ANGELINE MCCOY (ALPHARD ALVIN, DOCTOR FRANKLIN, ANDREW PATRICK, K. HIRAM)She married (1) DAN BARRY GORE. She married (2) ROY LYNN CASH. i. MEREDITH NANCY GORE, m. DARYL DELANE BAUGH. ii. MARVIN BARRY GORE, m. ANGELA DENISE SMITH. iii. MAURY GORE, m. TRACIE LASHAN DIXON. MYRA RUTH MCCOY (ALPHARD ALVIN, DOCTOR FRANKLIN, ANDREW PATRICK, K. HIRAM) She married MARCUS STEVE GLASSCO. i. MARCUS STEVE GLASSCO, m. CHRISTINA HICKS. ii. MICAH SCOTT GLASSCO, m. CHLOE NICHOL (NICKI) MCDANIEL. JAMES VONDAL BROADAWAY (JAMES (JIP) HENRY, NANCY (NANNIE) CATHERINE MCCOY, ANDREW PATRICK, K. HIRAM) was born June 03, 1921, and died December 24, 1988. He married BOBBI JEAN HUTCHISON. She was born January 04, 1926, and died November 12, 2000. JAMES VONDAL BROADAWAY: Burial: Philadelphia Cemetery, Jonesboro, Ark. i. STEPHANIE ANN BROADAWAY, m. KEITH NEELY. ii. VONDA BRIANE BROADAWAY, m. GERALD WAYNE (RUSTY) TREVATHAN. i. JUDY KAYE TRUSTY, m. TOMMY DALE BITTLE; b. November 16, 1943; d. April 05, 2002. MARY CATHERINE BROADAWAY (OLEN ANDERSON, NANCY (NANNIE) CATHERINE MCCOY, ANDREW PATRICK, K. HIRAM) She married JIMMY MACK FLETCHER. v. BARBARA JUNE FLETCHER, m. ROBERT STEVEN DACUS. REUBEN LEE BROADAWAY (OLEN ANDERSON, NANCY (NANNIE) CATHERINE MCCOY, ANDREW PATRICK, K. HIRAM) He married BRENDA JOYCE SIMMONS. LALE ANDERSON BROADAWAY (OLEN ANDERSON, NANCY (NANNIE) CATHERINE MCCOY, ANDREW PATRICK, K. HIRAM) He married THELMA NIELSEN. EVERETT WILLIS BROADAWAY (OLEN ANDERSON, NANCY (NANNIE) CATHERINE MCCOY, ANDREW PATRICK, K. HIRAM) was born July 13, 1926, and died December 31, 1984. He marriedINEZ HENRY in 1945 in Craighead County, Arkansas. She was born in 1927. EVERETT WILLIS BROADAWAY: Burial: Cypress, CA. GEORGIA WANDALEE BROADAWAY (GORDON PRIESTLY, NANCY (NANNIE) CATHERINE MCCOY, ANDREW PATRICK, K. HIRAM) was born October 28, 1925, and died August 30, 2008. She married J. C. MAHON. He was born March 28, 1927, and died February 21, 2006. JONESBORO — Georgia Broadaway Mahon, 80, of Jonesboro died Saturday, Aug. 30, 2008. She lived her entire life in Jonesboro. She was a member of First Baptist Church of Jonesboro and an active member of the Phebean Sunday School Class. She was preceded in death by her husband of 59 years, J.C . Mahon; and her parents, Gordon and Eliza Pierce Broadaway. She is survived by two daughters and their husbands, Janet and Steve Merriman of Jonesboro, and Marcia and David Gri ffith of Coppell, Texas; two granddaughters, Katie Merriman Hoehn of Lafayette, Colo., and Jessica "J.J." Griffin of Sherman Oaks, Calif.; brother and sister-in-law, Willis and June Broadaway; and one niece and three nephews, Steve Broadaway, Jeff Mahon, Vince Mahon, and Lisa Trevathan. Graveside committal will be at 10:30 a.m. Tuesday in Jonesboro Memorial Park Cemetery. Dr. Bruce Tippit will officiate . Emerson Funeral Home is in charge of arrangements. A memorial service will follow at 11 a.m. in First Baptis t Church. Honorary pallbearers will be members of the Phebean Sunday School Class of First Baptist Church, Max and Betty Alexander, Dores and Janice Griffin, Leon and Marguerite Kirksey , Mona Mathis, Marcia Patton, and Roy and Martha Secrease. Visitation will be tonight from 5-7 in the funeral home. For those wishing to leave lasting memorials, the family requests you please consider the Building Fund of the First Baptist Church of Jonesboro. An online guest book can be signed at www.emerson funeralho me.com. i. JANET MAHON, m. STEVE MERRIMAN. ii. MARCIA MAHON, m. DAVID GRIFFITH. WILLIS PRIESTLY BROADAWAY (GORDON PRIESTLY, NANCY (NANNIE) CATHERINE MCCOY, ANDREW PATRICK, K. HIRAM) was born August 13, 1929 in Gilkerson, AR, and died April 05, 2010 in Jonesboro, AR. He married JUNE MORGAN. JONESBORO — Willis Broadaway, 80, passed away Monday, A pril 05, 2010, at St. Bernards Medical Center. He was born Aug. 13, 1929, at Gilkerson to the late Gordo n and Eliza Broadaway. Mr. Broadaway served his country proudly in the U.S. Army during the Korean War and was a member of the American Legion. He retired from Riceland Foods after 38 years and was a member of Oak Grove Missionary Baptist Church. He enjoyed gardening and his McDonald's coffee group, and loved his granddaughters. Survivors include his wife, June Morgan Broadaway; a son, Steve Broadaway of Jonesboro; two granddaughters, and Kylie Morgan Broadaway and Baylie Elizabeth Broadaway, both of Jonesboro. He was also preceded in death by a sister, Georgia Mahon. A celebration of his life will be held at 10 a.m. Wednesday in Gregg Funeral Home Chapel at Jonesboro with Dr. Bruce Tippit officiating. Burial will follow in Jonesboro Memor ial Park Cemetery. Visitation will be from 5-7 tonight at the funeral home. Honored to serve as pallbearers will be Doyle Neyman, Frank Hinshaw, Steve Merriman, Ed Noell, Dorse Griffin and Jerry West and as honorary pallbearers, Roy Secrease, Dr. Ray H all Jr., Tommy Rowe and former co-workers at Riceland Foods. Lasting memorials may be sent to Oak Grove Missionary Baptist Church, 2187 Arkansas 349, Jonesboro 72404. Personal condolences may be sent to the Broadaway family at www.greggfunerals.com. i. STEVEN CRAIG BROADAWAY, m. CHERYL SCALLIONS. i. LOYD JOHN YARBROUGH, m. CHARLENE ADELE GUESS. ii. MELISSA ANN YARBROUGH, m. EDWARD STANLEY FAUGHT. iii. NANCY JEANETTE YARBROUGH, m. (1) DENNIS MCLOUTH; m. (2) ROBERT EARNEST (BOB) CLOVER. iv. NORMAN P. YARBROUGH, b. February 25, 1946; d. February 25, 1946. MARION ONEIDA ADAMS (ANNA JANE BROADAWAY, NANCY (NANNIE) CATHERINE MCCOY, ANDREW PATRICK, K. HIRAM) She married LLOYD FRANKLIN (LEFTY) SHOOK. i. LARRY PHILLIP SHOOK, m. (1) SHIRLEY WILSON; m. (2) TERESA BRADSHAW. ii. LLOYD FRANKLIN SHOOK, m. LINDA WILLIAMS. iii. DANNY TRAVIS SHOOK, m. DIANE MURPHREE. i. CLAUDE EARLE LYNCH, m. LYN M. MANN. ii. JANIE SUE LYNCH, m. JERRY SMITH. i. LENETTA LOU GRAY, m. (1) HARLOWE KIECH; m. (2) JOHN HARRISON. ii. CYNTHIA ANN GRAY, m. DAVID KELLEY. Obituasry: Ruby Jean Stopfer Gray, 79, of Jonesboro died Saturday, July 18 at St. Elizabeth’s Place. She was a member of Ridgecrest Baptist Church. She is survived by two daughters Cynthia Kelley and Lenetta Harrison and her husband John, all of Jonesboro; two grandchildren Blaine Kiech and Lindsey Kelley; two step-grandchildren Christie Orrick and Amy Grubb; and nine great-grandchildren. She was preceded in death by her husband Leonard E. Gray; her parents George and Bessie Stopfer; and two sisters Jewel Stopfer and Helen Clark. Graveside services will be held at 10:00 am Tuesday at Jonesboro Memorial Park Cemetery with Jerry Jolly officiating. Visitation will be Monday from 5:00-7:00 at Roller-Farmers Union Funeral Home. i. LINDA GAYE CLARK, m. LARRY DEWAYNE MOORE. ii. JEANNIE KAYE CLARK, m. WILLIAM R. (BILL) ROBERTS. iii. ARVIN BUFORD CLARK, m. (1) GLENDA BAILEY; m. (2) MOLLIE SUSANNE BUSHONG. HELEN JOANN BROADAWAY (BARNEY FRANKLIN, NANCY (NANNIE) CATHERINE MCCOY, ANDREW PATRICK, K. HIRAM) She married DOUGLAS PULLEY. i. TIMOTHY DOUGLAS PULLEY, m. MARLETTA HOPE BROWN. THOMAS STANLEY BODEN (DIXIE LEROY BROADAWAY, NANCY (NANNIE) CATHERINE MCCOY, ANDREW PATRICK, K. HIRAM) He married MARY LOUISE TURMAN. i. KEITH ALAN BODEN, m. BRENDA BILLINGS. PAUL RICHARD BODEN (DIXIE LEROY BROADAWAY, NANCY (NANNIE) CATHERINE MCCOY, ANDREW PATRICK, K. HIRAM) He married JOAN SHIPP. i. PAULA JO BODEN, m. ALLEN CARTER. JAMES H. (JIMMY) GREEN (LULA BELL BROADAWAY, NANCY (NANNIE) CATHERINE MCCOY, ANDREW PATRICK, K. HIRAM) He married GAIL CHAPMAN. SHARON JEAN GREEN (LULA BELL BROADAWAY, NANCY (NANNIE) CATHERINE MCCOY, ANDREW PATRICK, K. HIRAM) She married MICHAEL WHITNEY. CHARLES CLIFTON MCCOY (JASPER"JACK" AVNER, BENJAMIN F., WILLIS, D. FRANKLIN, HIRAM), b. September 14, 1936, Childress, Arkansas; d. February 12, 2009, Monette, Arkansas. Married BETTY WILENE JONES. Daughter of MARY MINNIE MAE MERRITT JONES She was born April 20, 1918 in Harrisburg, Arkansas and died May 16, 2005 in Jonesboro, Arkansas. i. SUSAN LEONA MCCOY, born November 19, 1966 in Arkansas and died September 20, 2005 in Craighead County, Arkansas. v. TERESA KAY MCCOY, born April 7, 1959 in Leachville, Arkansas. She died June 17, 2009 in Jonesboro, Arkansas. Charles Clifton McCoy, Sr. 72 of Monette, died Thursday, Feb 12, 2009, at Arkansas Methodist Hospital in Paragould. Born at Childress, he was the son of the late Jack and Dollie Conner McCoy and had been a longtime Monette resident. He was a retired cotton ginner with Keich-Shauver-Miller Gin Company in Monette. He was a charter member of the Second Baptist Church in Leachville and a member of the Masonic Lodge 558 in Monette. In addition to his parents, he was preceded in death by his wife of 49 years, Betty McCoy in 2005; a daughter, Susan McCoy; a brother, Michael McCoy. Survivors include two sons, David McCoy of Leachville and Charles McCoy of Bono; three daughters, Helen McCoy of Monette, Teresa Puckett of Leachville, and Mary McCoy of Monette; five brothers, Raymond McCoy of Memphis, TN, Jackie Wayne McCoy of Leachville, Harvey McCoy of Edgemont, Melvin McCoy of Leachville, Tony McCoy of Leachville; three sisters, Glenda Long of Leachville, Henrietta Walker of Horseshoe Bend, and Jennie Cox of Paragould; seven grandchildren and three great grand children. JACKIE WAYNE MCCOY (JASPER"JACK" AVNER, BENJAMIN F., WILLIS, D. FRANKLIN, HIRAM) was born in Arkansas. TERESA KAY MCCOY (CHARLES, JACK, BENJAMIN F., WILLIS, D. FRANKLIN, HIRAM) was born April 7, 1959 in Leachville, Arkansas. She died June 17, 2009 in Jonesboro, Arkansas. She married BERT PUCKETT. Teresa was a 1997 graduate of Monette High School and later attended Southern Baptist College and Arkansas Northeastern College. She was a member of the Second Baptist Church in Leachville and was a librarian for the Leachville Library. She was preceded in death by her parents Charles Clifton and Betty Jones McCoy. In addition she was preceded in death by a sister, Susan McCoy. Survivors include her husband, Bert Puckett of Leachville; a son, Eric Puckett of Leachville; two brothers, David McCoy of Leachville and Charles McCoy of Bono; and two sisters, Helen McCoy and Mary McCoy, both of Monette.